“What’s there to be afraid of?” they shot back, shrugging their shoulders with cheeky smiles. This was their reaction to Cyclone Roanu, which swept the coast of Bangladesh on 21 May 2016, killing 21 people and destroying 200,000 homes. “What’s there to be afraid of?” they shot back, shrugging their shoulders with cheeky smiles. This was their reaction to Cyclone Roanu, which swept the coast of Bangladesh on 21 May 2016, killing 21 people and destroying 200,000 homes. 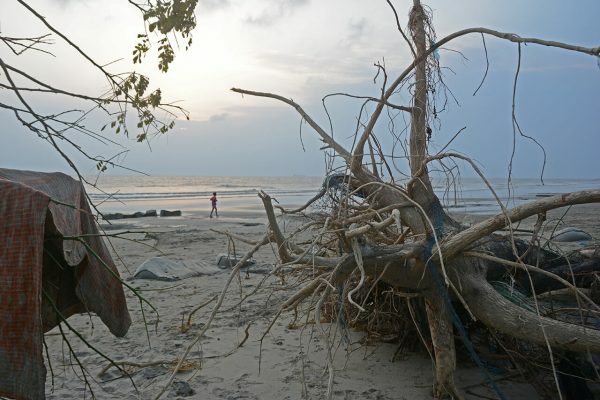 Kutubdia, a strange little island off the coast of Cox’s Bazaar, was one of the regions direly affected by the cyclone. The ponds are mossy green and the town is quiet with no visible signs of the aftermath of a natural disaster. The north and south sides of the island, however, tell completely different stories. The north has waters seeping in from the sea, flooding harvest fields and homes with saltwater. Homes on the south have had their roofs and walls blown away. One of the biggest concerns here are the children. It is a good sign to see them fearless. For them to cannonball into the waters each time I pointed my camera at them. For them to dangle and play with a giant water buoy that was blown on to the street from the sea during the cyclone. For them to monkey around on a toppled tree by the side of a pond. However, these waters pose a grave threat. 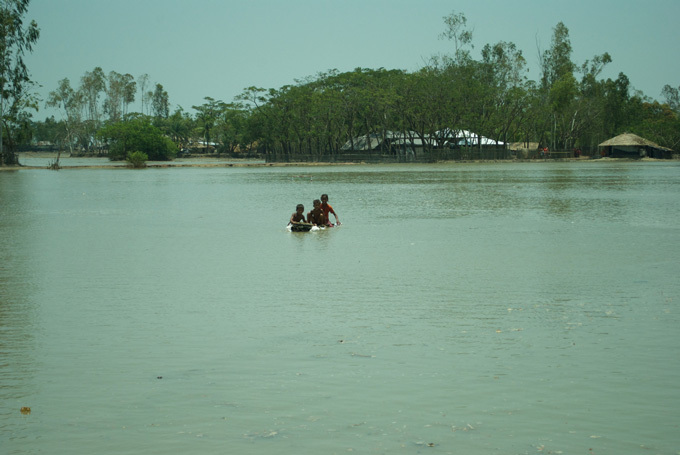 Every year, 18,000 children drown to death in Bangladesh. While parents are busy rebuilding their homes and livelihoods, the children are most often left unsupervised. Schools are usually shut down because of the floods, depriving children of safe places to play and learn in. Walking down a path submerged entirely by the high tides rushing in, we heard voices singing in the distance. 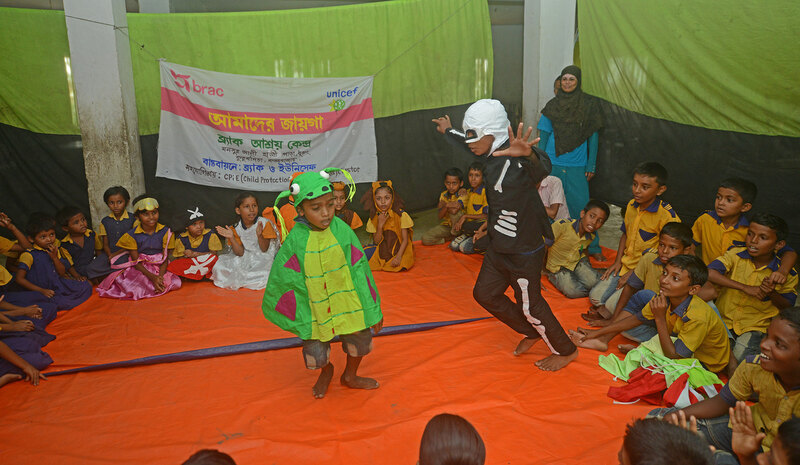 The joyful singing was coming from one of BRAC’s child-friendly spaces, created in response to Roanu, in collaboration with UNICEF. “We’re staging a play,” the teacher tells us. She helps them into their elaborate outfits. There’s a frog, a lobster, a pirate, many pots and pans, but no rhyme or rhythm. There’s an imaginary animal kingdom here in Kutubdia that us mere grownups will never understand. 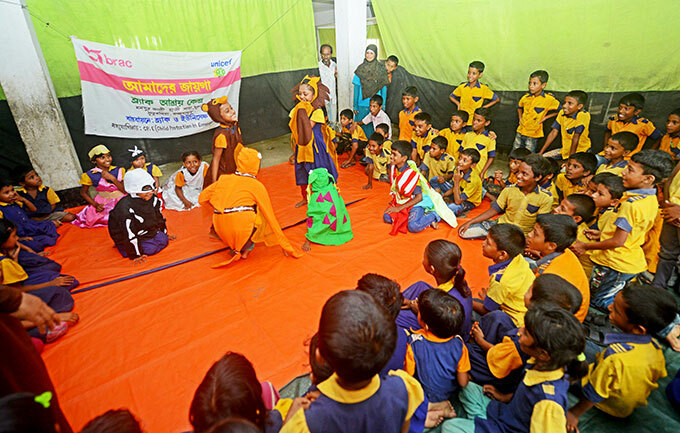 Inside another child-friendly space, this one housed in one of BRAC’s decades-old cyclone shelters, Razia Begum teaches about 78 children every day. 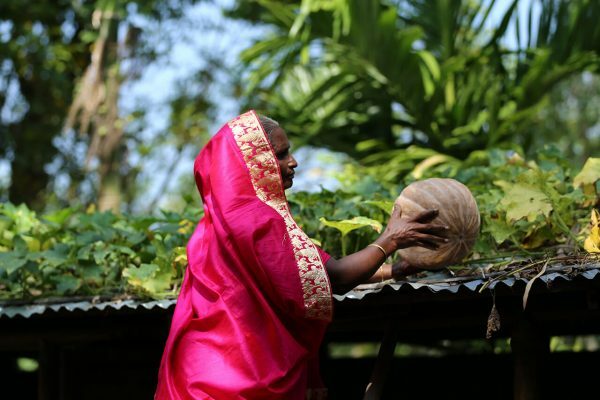 Disaster responses traditionally focus on the immediate, tangible needs of survivors- food, medical aid and shelter. Children often get in the way or are forgotten during the chaos, meaning that they can end up being the most vulnerable group. There is a rise in child labour as distressed families push their children to work. In the desperation for survival, families often marry their daughters off, leading to a rise in child marriage. 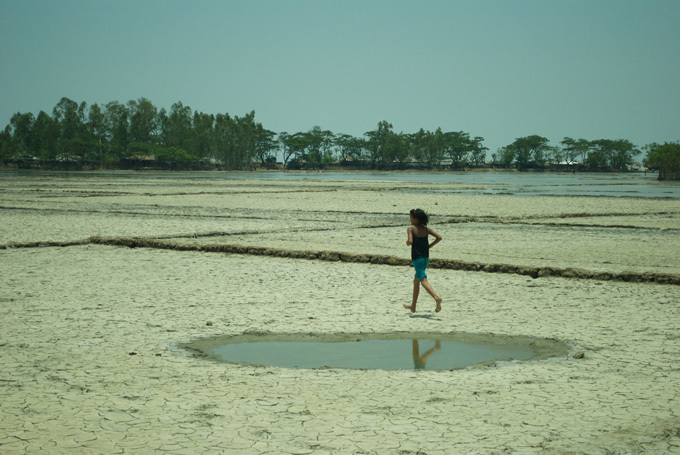 Safe and child-friendly spaces are vital for regions vulnerable to natural disasters. The cost of accommodating a child per day in a child-friendly space is less than two cents. From what we learned from our recent experience in Kutubdia, the positive impacts they could have on children are priceless. Zaian Chowdhury is a sub-editor at BRAC Communications.